Anyone who knows me, even those who don't like whisky, are aware of my slightly irrational love for Lagavulin. So I'll try to be objective, but you've been warned. Thanks to @Nozinan for the reviewed sample. 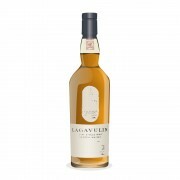 Lagavulin 8, 200th Anniversary Edition. Bottled at 48% ABV. The bottle whence came the sample was opened November 17, 2016, gassed after each use, decanted into a smaller bottle May 20, 2017, and the sample poured for me on April 18, 2018. There seems to be mixed information on added colour and chill-filtration. There are no statements about it on the box, but the 48% ABV usually means a whisky hasn't been chill-filtered and Ralfy seems convinced that this is bottled at natural colour. I can neither confirm nor deny one way or the other, and I'm too lazy to Google it. Nose (undiluted): tarry ropes, wood smoke and brine, quite vegetal (seaweed), surprisingly fruity with lemons and limes coming through, a hint of caramelized sugar with a bit of eucalyptus at the tail end. Very pleasant nose. Much brighter than the 12 or 16 year bottlings. Palate (undiluted): richer than expected, not at all "hot" for 48% ABV, toffee leads the way but is bowled over by peat smoke, then black pepper with some fruity notes (peaches and apricots) appear, developing cereal notes (barley) near the end. Finish: fairly long, candied ginger and floral honey at first, then a bit sour and fruity, green apples, green (white) grapes and charred lemons, with the wood smoke returning and lingering. Fantastic. With water added the nose initially becomes brighter. Iodine, brine, and the charred lemons take the lead. The smoke is still there and it doesn't yield. The nose develops more sweetness with water, and the eucalyptus all but disappears. Ten minutes after adding water, a sweetened black tea aroma is present. Water doesn't negatively affect the arrival on the palate either, but it does bring the pepper notes to the forefront. A bit of hot and sweet together. The order of flavours on the finish changes a bit with water added. Campfire ash lead the way, but is overtaken by peaches and apricots drizzled with honey. Smoky, fruity and sweet. An absolute treat with or without water. There isn't a lot of "low end depth" to this whisky. It is smoky, but also very bright, sweet, and fruity, whereas Laphroaig Quarter Cask has a much deeper flavour but lacks the high end brightness of Lagavulin 8. 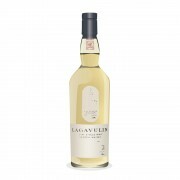 I think an equal mix of the two might make the perfect young Islay whisky, yet Lagavulin 8 remains fantastic on its own. I need to get a bottle of this stuff. 8 months ago 1Who liked this? 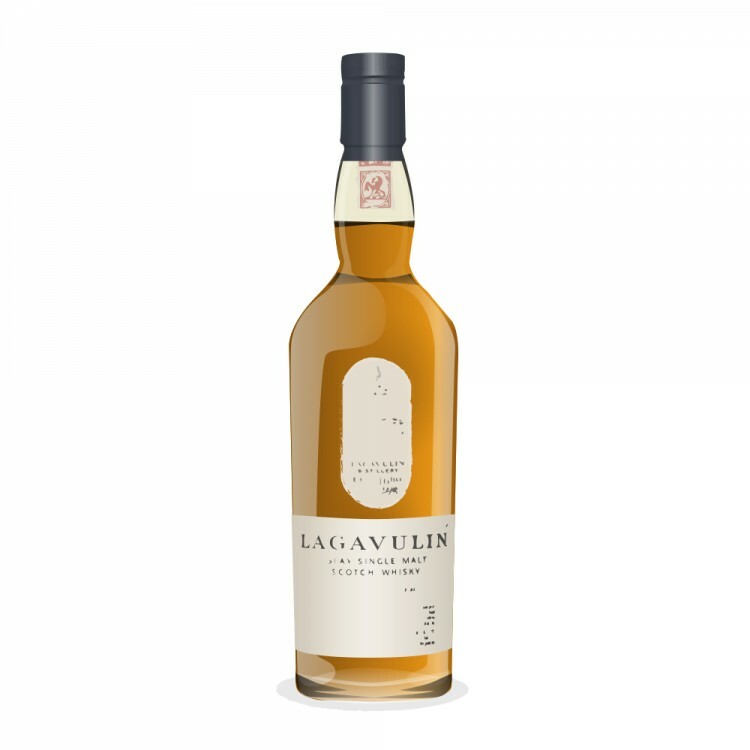 @OdysseusUnbound as the pre-eminent Lagavulin superfan, I thought you reviewed this already and I had just missed it. Nice review and good observation on your " low end theory", it's true that this whisky doesn't have a very pronounced oak or rounded sweetness that Quarter cask does. I think I gave this too low of a score on my review. I love how elemental and and stripped down this is, yet no less complex for it, it bodes well for the upcoming Talisker 8. @cricklewood Wait. There’s a Talisker 8 coming out? Damn! There’s going to be too much FOMO for me to handle !!! And yes, this Laga 8 is more complex than I expected it to be. @Nozinan I'd be curious to try one of the more recent batches to see if there's much of a difference, until then I don't think I'll buy a bottle unless I could snag one of the 200th anniversary editions. @OdysseusUnbound, yes indeed, it will be part of the Diageo Special releases of 2018, there's very little info out yet about it but it is supposed to be cask strength like all SR's...actually now that I am thinking about it, maybe it's just like 57N but with an age statement? 8 months ago 3Who liked this? Awesome review. I had some the other night, but just a taste, and not enough to give a full review. What I did take away was that the 8 is a bit harsher on the palate than the 16. I felt it was similar to a younger Laphroaig or Ardbeg, in that the edges were still there. @mhock66 What surprised me the most about the Lag 8 was how much the sweetness became increasingly prominent as the whisky sat in the glass and opened up. I’m curious to see if there’s a major difference between the standard release and the 200th anniversary edition. @OdysseusUnbound: "Laphroaig Quarter Cask has a much deeper flavour but lacks the high end brightness of Lagavulin 8. I think an equal mix of the two might make the perfect young Islay whisky"
Indeed! That's exactly how I drank most of my Lagavulin 8, and it was a perfectly complementary mix. Rigmarole-recommended! @cricklewood, holy schnikeys! I saw that news about the Talisker 8, but I didn't make much of an impression on me. But if they had billed it as a 8-year 57 North—well hot damn! Now I'm interested. @MadSingleMalt @cricklewood Talisker is a distillery, like Laphroaig, Lagavulin, and Springbank, that gets me irrationally excited. It’s silly, I know, but I’m only human. @MadSingleMalt I am only extrapolating based on some facts. All Diageo special edition releases are normally cask strength (or thereabouts), so it's stands that this might be as well. The proof of the Lag 12 over the years varies between 55% and 58%, stands to reason that a whisky only 8 yrs old should be around that or higher. No fact are offered about the age of Talisker 57N but it's been speculated many times that it's probably composed of fairly young whisky maybe not even 10yrs old. If they can offer them as natural as the Lag 8 & 12 and not fool around with casks and color. We're in business.